With its two built-in microphones the DR-70D can record stereo ambient sound. In addition it has four XLR/TRS combo jacks which can be used to record four channels of audio. Thanks to a minijack camera output the recorder’s stereo signal can be sent to the camera to be used as a scratch audio track, or even primary audio if necessary. There is also a useful slate tone function of the recorder. 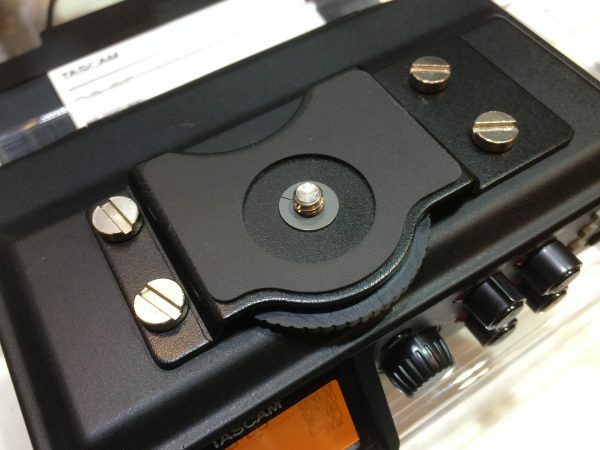 You can also feed the camera’s headphone output into the Tascam so the camera’s audio can be monitored using the recorder. The DR-70D has 24- or 48-volts phantom power for condenser mics and overload-resistant preamps with switchable low-cut filter and a limiter. 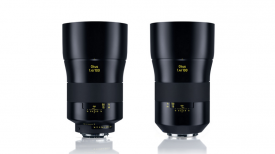 It can handle microphone signals in mid/side format and has many other functions that facilitate capturing, monitoring and subsequent processing of the audio tracks. 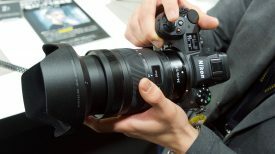 The DR-70D looks like a great solution for owners of DSLRs or other cameras where the built-in audio functionality is not ideal. Essentially this box functions like a Juicedlink or Beachtek audio adapter but with added functionality and the ability to record separately as insurance. If the sound quality turns out to be good then the $299 US price tag looks very reasonable. 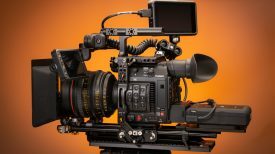 It could also be used on professional cameras like the Sony F5/55 as a mixer where audio control is limited to internal menus – the only downside being that the output is via minijack and not XLR or TA3. 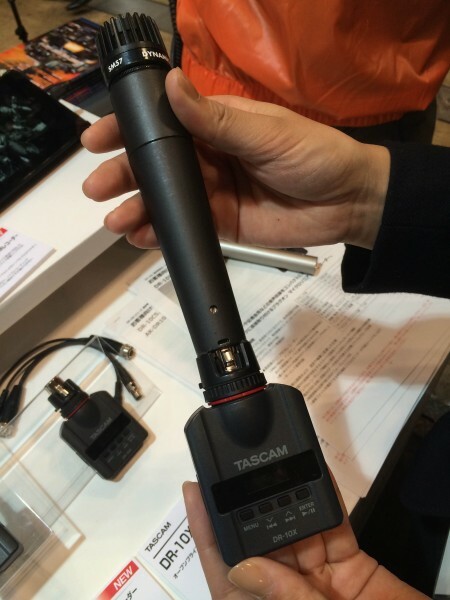 Compact, professional-grade audio recorder designed to be used in combination with a DSLR camera. High-quality recording inputs through Tascam original High Definition Discrete Architecture (HDDA) mic preamps. In addition to ordinary stereo recording, simultaneous recording of up to four channels is possible. Additional unbalanced input for channels 1 and 2 (stereo mini jack) supports mics that require plug-in power, allowing the input of video mics and other high-output mics. Jump-back function allows the last several seconds of the currently played file to be replayed again by simply pressing a button. 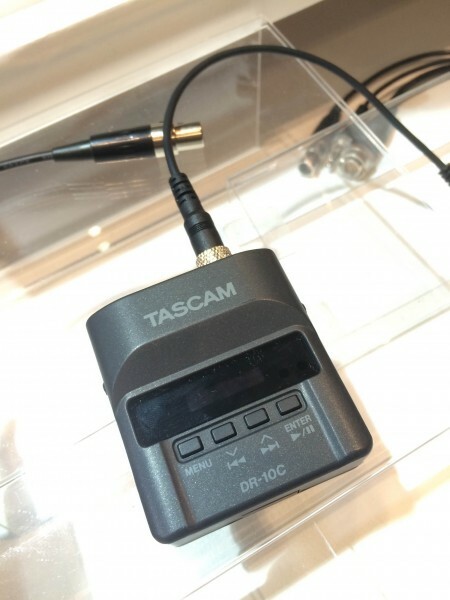 At Inter BEE Tascam were also showing the DR-10CS, and DR-10CL, a range of tiny audio recorders that can be connected directly to radio mic transmitters from companies like Sony, Sennheiser, Lectrosonics and Shure. These are very handy if you are in situations where radio mics are breaking up because of frequency interference or distance. 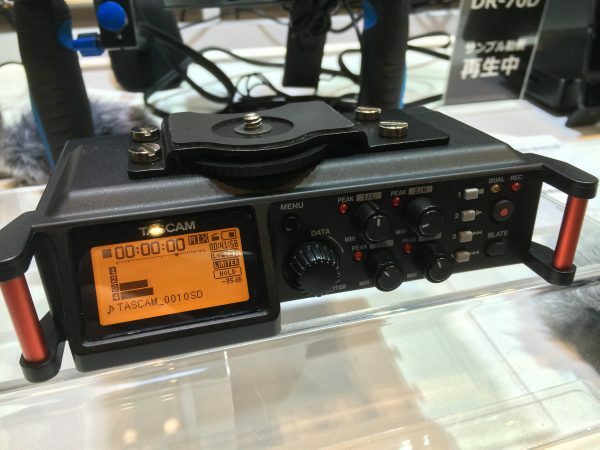 For handheld mics they have the DR-10X which offers a similar solution. You can find out more about the DR-70D on the Tascam website.